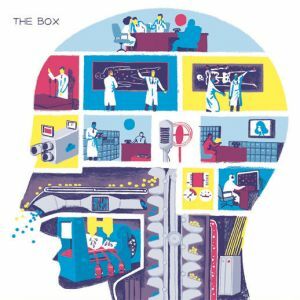 THE BOX is offering some twisted electronic stuff with their new 7″ on Plastic Spoons Records. For those who may not know, The Box is now the home of Vincent Bergier, formerly of Crash Normal. As far as we can tell, this new sound seems to fall somewhere into an evil synth-pop realm with plenty of cringe-worthy noise to keep your attention. Relentless A-side “The Door” will quickly give you an idea of what you’re going to endure. The track is oozing with a dark and sludgy synth hook that is broadened by clangorous guitars and tight, dagger-like licks that are spread throughout the track. Electronic percussion and creepy, shadowy vocals only help intensify the twisted nature of this challenging single. On the B-side, “The Brain” has a slightly different approach. This one has more of a bouncy, poppy edge going for it, but there’s still plenty of static-like noise crowding the air. The song begins to grow within the final two minutes, bringing us through a dense mix of relentless percussion, static noise, catchy bass lines and a metallic, swirled atmosphere to swallow it whole. If you’re looking for something to catch you off guard today, then start with this single. Listen to both sides right now! BUY the 7″ directly from Plastic Spoons Records – limited to 500 on transparent vinyl ! 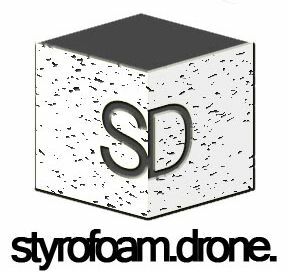 Posted on August 20, 2012 by styrofoamdronePosted in 7", ReviewsTagged electronic, noise, post-punk, synth pop.